What is guaranteed to drive your toddler crazy? Four little words, “It’s time for bed”! These words are enough to turn any toddler into a argumentative little being. If you’re a parent struggling to get your toddler to sleep, you know what I’m talking about. So what can you do to get that toddler into bed? Instead of standing there pulling out your hair, I have six useful tips to offer to get any toddler into bed time mode. All these tips are tried and tested to work, however not all them will work on every toddler. 1. Keep your toddler busy while he’s awake. Parents with toddlers know that they have an abundance of energy. Take your toddler to a playground or let him run around the garden so that he can burn off that excess energy. Remember when you were a child, Didn’t you used to love playing out of doors? 2. For the days that it’s raining, keep him occupied with toys indoors. Give him an assortment of toys so he won’t get bored, and remember mental activity can be just as tiring as physical activity. 3. Whatever you do, you should make sure you choose a bedtime that is realistic. Children are just like adults, they have distinct sleep patterns. Some are morning people, while others are night owls. While you will be able to control this to some point, it will pay to fit in with your child and consider delaying bedtime if he is still wide awake at 7pm. On the other hand, if he’s too tired to eat dinner, move both the meal and bedtime forward to accommodate him. By doing this you will save a lot of arguing and stress! 4. Daytime naps may also affect how sleepy your child feels at night. If bedtime’s a constant battle try cutting out, or shortening, his daytime naps. 5. If your toddler does not usually take a nap during the day, then just have him or her have a quiet rest period, which will refresh and re-energize him until bedtime comes along. 6. Have a bedtime routine and stick to it! It’s very easy to get off track so this may take a bit of effort at first. Begin the routine straight after dinner and don’t deviate from it. If, despite trying this routine for a few weeks, your toddler is still impossible to get into bed, a glass of warm milk may do the trick. Don’t under any circumstances give your child any type of sleep medication, no matter how mild. It will always lead to further sleeping problems in the future. 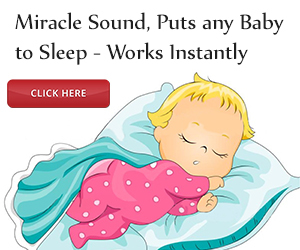 I hope these tips are of help when your toddler won’t sleep. To summarize, plenty of activity during the day will ensure that your toddler will be ready for sleep at bed time. As an added bonus, all that activity is good for his health too. Now here’s an extra safety tip; if your child is a sleep walker or tends to wander around at night, simply attach a bell to the bedroom door. Do you have a toddler or child who plays up at bedtime? Does your child wake up frequently at night? For the answer to these and other problems visit http://www.insomnia-connection.com/child-sleep.html to find out how to teach your child good sleep habits and enjoy peaceful nights again. 1 Response to "Toddler Won’t Sleep? Here’s 6 Tips to Get Your Toddler to Bed Fast"
Excellent tips. I also purchased your Toddler Sleep Secrets book and really enjoyed your advice!